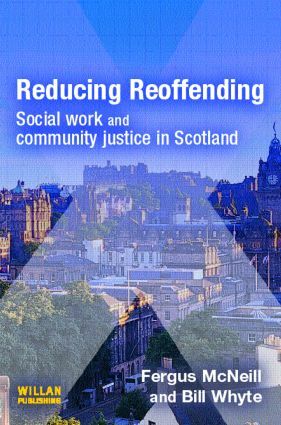 Reducing Reoffending provides a critical overview of social work and community justice in Scotland, taking full account of recent developments. The book is divided into three comprehensive sections. Part one of the book provides a critical analysis of the challenge of reducing reoffending in Scotland and locates this challenge within its historical context. Part one also reviews the available evidence about when, how and why people stop offending; about desistance from crime. This analysis exposes not only the complexities of desistance processes, but also the many difficulties that offenders face in making the related transition. Part two of the book provides an account of the legal contexts of criminal justice social work services in Scotland analysing both the role that social work plays in the sentencing process and its role in supervising offenders in the community. The final part the book addresses questions of how the practice of supervision might be best developed so as to support desistance and reduce reoffending, though the books final conclusion is that reducing reoffending requires a much broader commitment to promoting and realising justice in the community. Offender management or change management?